I didn’t get a chance to finish the post I had planned for today so I am reissuing some handy info from last year that I’m sure only a few have seen. If you haven’t already purchased your tickets, there are many new sites and apps to help you. Chances are you may have seen or at least heard of the Luxe City Guides. They are the super chic, cult, entertaining city guides that no self respecting stylish travel guide round up could be without. Here’s the brief backstory that will impart a bit of the flavor of these witty volumes. “Seven years ago the founder of LUXE City Guides, Grant Thatcher, was at a party in Singapore. He was told that if he were ever to go to Bangkok, then he must be sure to take the several A4 pages that he was now being handed, as they contained the best insider knowledge on the city. Everybody, it seemed, loved this saucy list. Grant looked at the list. It seemed familiar. It looked exactly like the list he had written for friends before he left Bangkok. Shut up, and get out of here! Dong! It’s true. The rest, as they say, is history.” And as if they weren’t fabulous enough already, they are now available as mobile guides for iPhone, BlackBerry, Sony Ericsson, Nokia and HTC. With your fee, comes a year of free updates sent directly to your mobile and when the year is up, you can subscribe again for half price. Brand new to the scene is the Town & Country Luxury City Guide by Hearst, the people that bring you T&C mag. In keeping with the tone and content of one of my favorite publications, this app is for the affluent, discerning individual. “Get the inside scoop about, and VIP treatment at, both the new and the not-to-miss shops, restaurants, clubs, hotels, spas and salons in your city. 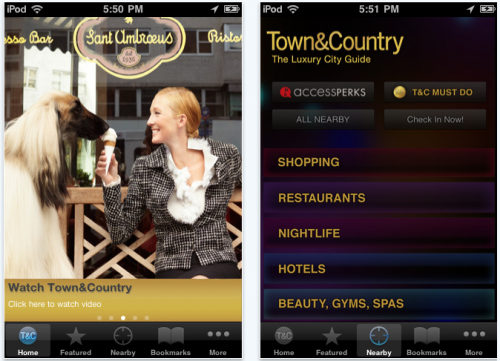 With our exclusive GPS technology that localizes the Guide, we help you make any city feel like your town.” Destinations include over 60 U.S. and international cities where you can take advantage of the “T&C Must Do” list and receive Access Perks to hundreds of shops, restaurants, clubs, salons and spas. How clever of T&C to jump on the bandwagon. They have such a great network of jetsetters around the globe that this is sure to provide a stylish insider experience. Two other chic travel gift/guide options have been making news on the fashionable front. First are the Wallpaper* City Guides which “present a tightly edited, discreetly packaged list of the best a location has to offer the design conscious traveller…the best restaurants, bars and hotels (including which rooms to request) to the most extraordinary stores and sites, and the most enticing architecture and design.” Compiled by the hip magazine’s travel experts, they are available as individual titles, boxed book sets divided into themed World Cities groupings: Art Fairs, Beach, Business or Fashion (love these themes!) or as apps on the iPhone app store. 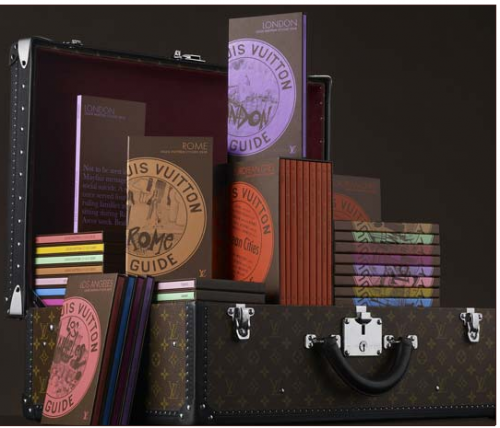 But I have to say that Louis Vuitton takes the cake for the most creative, elegant and varied offerings. Their City Guides have become staples among the cognoscenti. The chic urban traveler would most definitely appreciate the 2011 European city boxed set, which includes 9 paperback guides exploring 30 cities. And not just capital cities but unexpected ones such as Beirut, Courchevel, Gstaad, Oxford, Palma, Porto Cervo and Thessaloniki. Only the chicest distinctive hotels, restaurants, galleries and fashion stores are included in the 7,000 addresses. 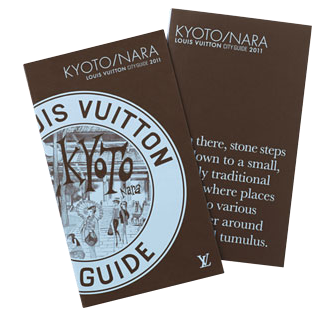 There are also individual City Guides offered such as this new title devoted to Kyoto and Nara covering 600 hand-picked addresses, including authentic inns and ryokan, tea houses, temples and shrines, period villas and secret zen gardens. It also suggests fabulous getaways in the Kyoto and Nara area. In addition, Vuitton has added charming video previews that you can watch online. Here’s the très mignon one for Paris. 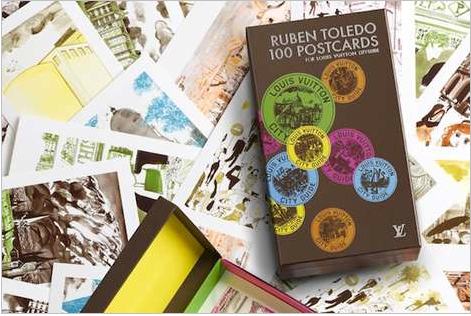 This year they included a fun addition to the City Guide series – a City Guide Postcard Box with 100 postcards representing 100 world cities designed by talented artist Ruben Toledo, who also illustrated the New York City Guide. A fun gift to remember for almost anyone on your list. This entry posted in art, books, gifts, holiday, learning, louis vuitton, technology, travel. 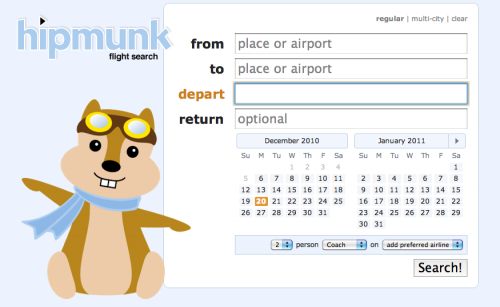 Entry Tags: Hipmunk, IFly.com, Louis Vuitton City Guides, Louis Vuitton Travel Notebooks, Louis Vuitton Voyage Avec, Luxe City Guides, Seatguru, Stay.com, Town & Country Luxury City Guide App, Wallpaper City Guides Bookmark the permalink. How comprehensive your travel tips and links! Excellent! I am planning Paris and this will help so much! Hi Karena – so glad you enjoyed. There are so many great sites and apps out there – it was tough to whittle it down! Lucky you going to Paris – have a great time. I’ll stop by! Wow — what a post! I am certainly going to bookmark it for future references for next time I travel. Thanks so much for all of this helpful and highly useful info. Hi Sarah – Thanks! 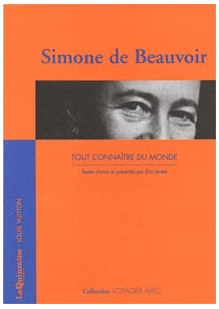 And if you read French, which I think you might, be sure to check out that last book series – looks fabulous!! Well, I am not planning any amazing trips…but this was a great round up of ideas nonetheless! Love watching the TED clips, they really do have such compelling and engaging speakers! Hi Zhush – Thanks! And yes, I love the TED talks as well – I loved how this one was on speed dial! Thank you for all the great travel tips. I am logging off to go get that iPhone App. Hi Kate – My pleasure – several great apps for the iPhone! Hi Vicki – you’re most welcome! And I thought you might be one of the people who would enjoy Vuitton’s “Voyage Avec” series – I’m hoping they’ll come out with it in English! These are great resources for planning all of my 2011 get aways!!! Are you familiar with Indagare, run by Melissa Biggs Bradley? I’ve used them for planning trips and they have great sources and tips!! Hi Elizabeth – Oh – I completely forgot about Indagare – yes, great site!! And Melissa Biggs Bradley would know, wouldn’t she! Your hired! What a truly fantastic list of resourses you have uncovered for all of us. Now I wish I could go somewhere…fabulous!!! A&A – Thank you – yes I’m living vicariously through my post as well! Some great travel suggestions. Thanks! Connie – you’re most welcome – glad you enjoyed! Absolutely loved this post! Thank you for sharing. Meadowcreek – Thank you so much and thanks for stopping by! Stacey – Always nice to have everything in one place – although now I’m thinking perhaps I should have done 2 posts – one for apps and web guides and one for books and gifts! Hi Ashley – Thanks! Sounds like me with cookbooks – love reading when I’m not eating! Thanks for stopping by! What a fantastic post, definitely going into my travel bookmarks! Thanks for all the tips. I love Luxe guides, I own several and don’t go anywhere without them! Hi Jennifer – Thanks! 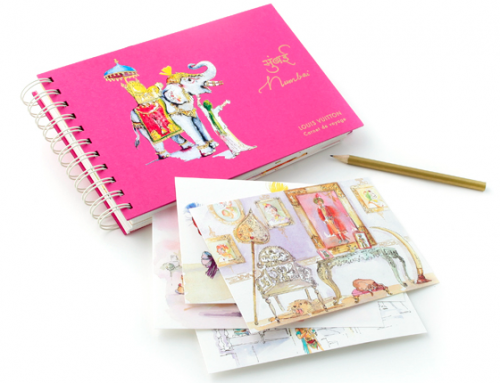 Love the Luxe Guides – and the story – hysterical!